No don't ask me how Speedball can control his bouncing (or even do so) in space, he just does. 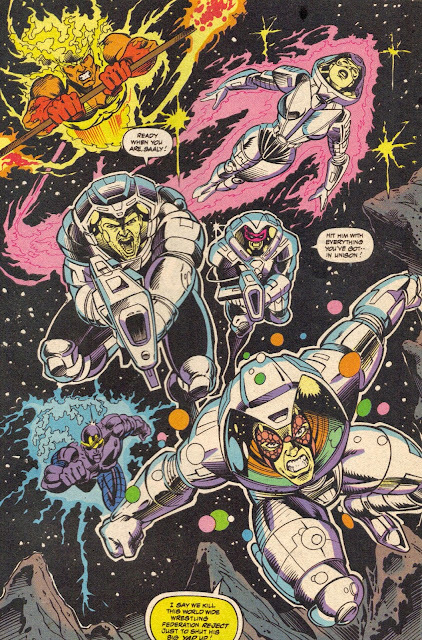 At least the crew are backed by former Galactus heralds Air Walker and Firelord. Drawn by Darick Robertson, it's a killer splashie all the same.